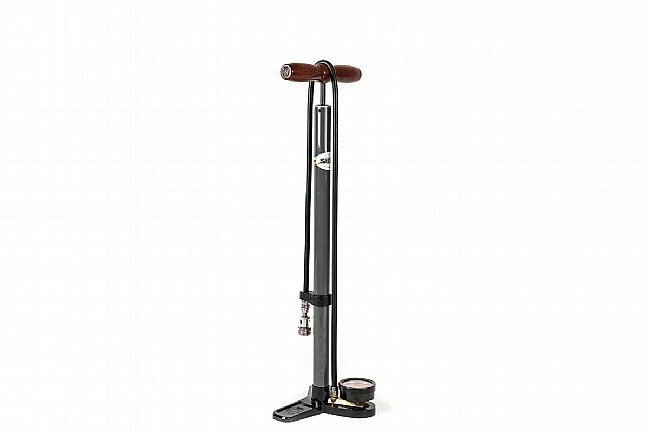 Earn $14.50 in Rewards credit (1450 points) What's This? 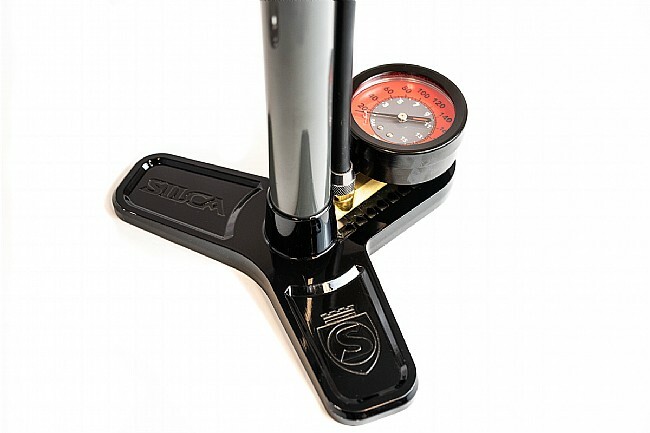 Silca's Pista Plus Floor Pump features a durable steel barrel, 3mm-thick leather plunger piston design, and a proprietary brass air bridge and check-valve assembly that ensures longevity. 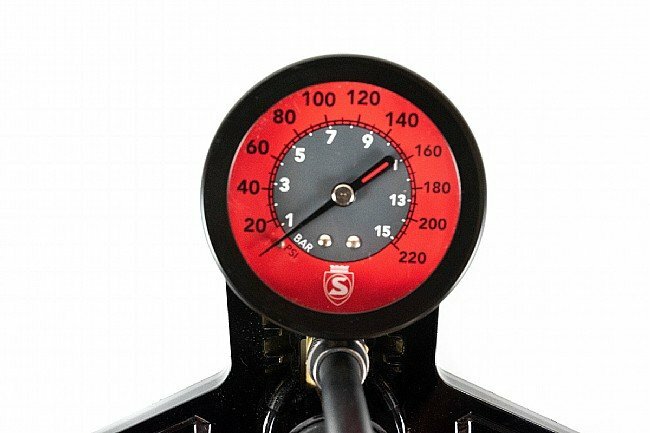 The smaller-diameter barrel combined with the pumping efficiency of the classic 28mm 731 model Italian leather plunger washer and German Igus linear bearings allow the Pista Plus to reach pressures of up to 220 PSI. 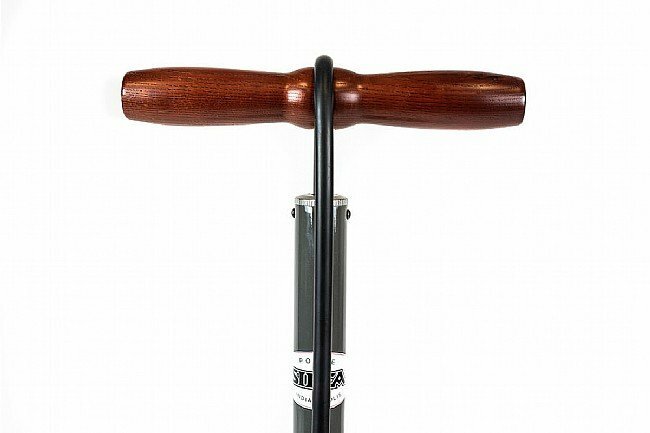 The three-footed aluminum base and enlarged lathe-turned Ash handle deliver ergonomics and stability. 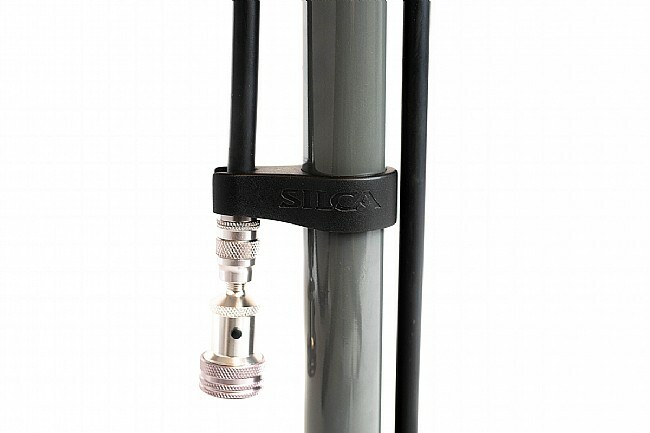 The long flexible filler hose with an integrated Schrader chuck comes standard with Silca's push-on alloy Presta chuck with a bleeder valve.